Neurosurgeon Dr. Blake Phillips has an interesting way to explain his career path – his area of specialty chose him. Although he was born in Ozark, Ala., just outside of Fort Rucker where his dad was stationed, Phillips claims Jonesboro as his home. After earning a biochemistry degree at Rhodes, he received his medical degree from the University of Arkansas for Medical Sciences and completed an internship in general surgery. His interest encompasses all types of brain and spine pathology. 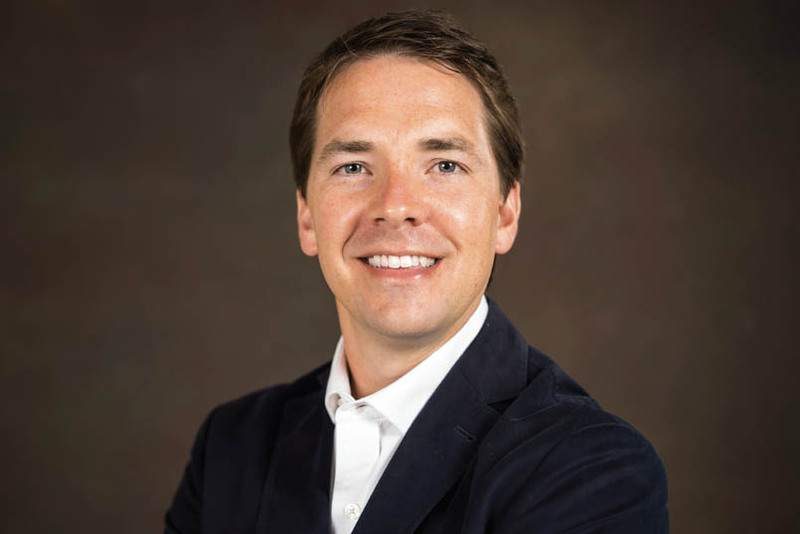 Dr. Blake Phillips treats patients at Neurosurgery Arkansas. Phillips said he enjoys most seeing patients leave the hospital post-operatively with an improved outlook on life. “Making that impact is the reason that me and my team do what we do,” he said. “I strive to find the absolute best solution for each of my patients. I am lucky to work at Baptist Health who, similarly minded, has the patient’s best treatment in mind. Our goal is to first implement non-surgical techniques. Phillips continues to be active in medical education with a number of recent peer reviewed publications, posters and conference speaking engagements. He is a member of the American Association of Neurological Surgeons (AANS), the American Medical Association and the Arkansas Medical Association and has recently been recognized in Who’s Who for professionals. Phillips sees patients at the Neurosurgery Arkansas clinic at 625 United Drive Suite 370B in Conway. It is located in the medical office building behind the new Baptist Hospital. For more information, call the clinic between 8 a.m. and 5 p.m. Monday through Friday at 501.224.0200.